Doing the cover of Adele’s wave making single ‘Hello’ has been a trend among Nigerian artiste in the past few days, the likes of Ruby Gyang, Omawumi, Niyola, Praiz and more have dropped their covers of the song doing it the Nigerian way. One of the covers made by Omawumi even got a controversial review from Sean Tizzle who claimed Owamumi’s cover was better than the Adele’s original version of the song. A comment that got him many fans backlash. 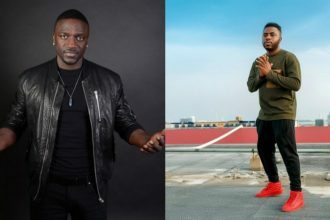 While others enjoyed public attention, there comes a scapegoat of the whole ‘hello’ trend as singer Samklef went over the top by altering the original Adele’ video and adding reggae beats to it, a clear copyright infringement on his part as he did not obtain permission to do so. Not long after he uploaded the ‘new’ Adele version on Youtube, it was taken down.